Heroes are easily acquired as a boy. I remember my eyes watering over the death of Antigonus Gonasta on the plains of central Anatolia in 301BC. The image of that 81-year-old warrior, desperately scanning the horizon for the late arrival of his cavalry under the command of his son Demetrius, seemed unbearably poignant. As the last of Antigonius’s bodyguard were hacked to death on the hill at Ipsus, so died the unity of the empire of Alexander the Great. I can no longer remember why I felt so passionately about Imperial unity as a schoolboy. Age brings with it decreasing respect. My barrel of heroes is now virtually empty. I am down to poets, prophets and historians. Among the latter, I include Terence Mitford and George Bean. Their labour was to identify, record and tease out the ancient history of Turkey’s Aegean shore. This they achieved, not for fame or fortune, but out of love for their work. Their influence is incalculable, for aside from identifying literally hundreds of new inscriptions and sites, they acted as an unwitting catalyst for conservation. 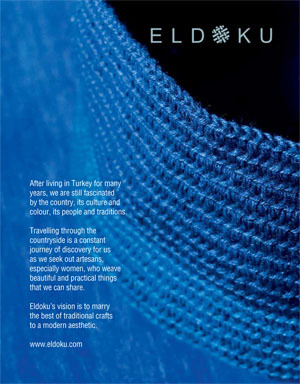 Their quiet dignity, humanity and learning impressed thousands of Turkish villagers with the importance of these monuments to their own past. Ruins that had been used as occasional quarries were treated with new respect after they had received the attention of the two courteous British professors who spoke such beautiful Turkish. The great body of the published work of George Bean and Terence Mitford is confined to that twilight world of monographs in learned journals. Typical of this output was the catalogue of Greek inscriptions from Side, Lycia and Cilicia that they had jointly prepared for the Austrian Academy. Fortunately, almost by accident, George Bean, at the end of his academic career, began work on a series of archaeological guide books. These four volumes – Aegean Turkey, Turkey beyond the Maeander, Turkey’s Southern Shore and Lycian Turkey – were commissioned by the publisher Ernest Benn. George Bean died in 1977, just as the fourth volume was going to press. Together they form an extraordinary 850-page compendium of learning. The guides bridge the yawning gulf between the unreadable pedant and the gushing populist. They are lucid, neither talking down to nor losing the reader in the mysteries of a technical vocabulary. Above all they are authoritative – about the history of the place and about its spirit. They are also energetic. Having exhausted the reader with a complete exploration of Xanthus and the Letoön, it is typical of Bean casually to mention an ancient fortress, “an easy hour’s walk to the west of the site”. Reading further, one becomes aware that few other historians have walked this way since Fellowes made his first visit in 1840 and Bean checked up on his description in 1946. The guides are thorough. Every important ancient site in the 750 kilometres between Pergamum and Alanya is described. This chunk of southwestern Turkey must be one of the richest archaeological regions in the world. It is a sublime landscape, a veritable Arcadia (or should one write Lycia?) of forests and rough, goat-grazed scrubland, limestone crags and well-watered valleys. To those educated by centuries of European landscape painting and the ruin-hunting prose of John Betjeman and Rose Macaulay, this region of Turkey is a form of paradise. For many thousands of tourists, travellers, students and holidaymakers, Bean has been the guide to all this enchantment. His books have appeared in numerous editions, have been translated into dozens of languages, as well as pirated, pillaged and quarried by later writers. I determined to find out more about them. No one could recall Terence Mitford ever mentioning any incident from his childhood. He was born in Japan and brought up in Asia, where his father worked as a writer and journalist. Later he was sent back to boarding school in Britain. Perhaps, as for many an expatriate boy, the exotic experiences of his childhood were buried to assure conformity with his new peer group. From the age of 13 to 18 he was educated at the London public school of Dulwich, and won a classics scholarship to Jesus College, Oxford, where his passion for rugby was considered to have distracted him from winning a double first. Instead of a mainstream academic career, he found a position teaching Latin to students at St Andrew’s University. He started in 1932, working under the great Latin scholar WM Lindsay, but also took on the administrative post of Warden of St Salvator’s College. St Andrew’s is an isolated Scottish medieval town, perched out on the edge of Fife and swept by the winds of the North Sea. It suited Mitford. After a four-year apprenticeship, he was appointed a lecturer in 1936, the same year he married Margaret, the elegant and clever daughter of Professor Herring. He was an inspiring personal tutor and a conscientious teacher of classics but not a great public speaker. From the start, he kept his academic interests separate from his job as a teacher. They were pursued as part of his private life. Throughout the 1930s he used the long summer holidays to further his research into Greek scripts. He explored the Aegean, concentrating his attention on the island of Cyprus, which has a fascinating diversity of scripts and mysterious Bronze Age texts. It was this passion for scripts that brought Mitford and Bean together. If Terence Mitford was a typically tough and independent-minded product of Britain’s expatriate diaspora, George Bean was more deeply rooted in the soil of Britain. Unlike Mitford, who seems to have existed almost without benefit of kin, Bean came from a supportive, encouraging family. His father, William Jackson Bean, had been something of a prodigy. Born in 1863, son of a hard-working Yorkshire tenant farmer, he had left Hull Grammar School at 14 to work as a gardener’s boy on the Belvoir Castle estate in Leicestershire. He was good at his job, and aged 19 was appointed the tree nurseryman. A year later, his employer, recognising his exceptional abilities, put him forward as a candidate to join the staff at the Royal Botanical Gardens at Kew. It was a time when newly discovered species, especially shrubs, were pouring into Kew Gardens from botanists exploring southwest China. William rapidly became the expert on shrubs, a self-taught botanical scholar who would eventually rise to become curator of Kew. In his spare time, he wrote his encyclopaedic Trees and Shrubs in the British Isles, which was published in 1914. It is still in print, in its eighth monumental edition. Though William Bean filled a prestigious post in Victorian society, he was short of money for his ambitions. His son, George, born in 1903, was sent to a private school in Richmond and then to St Paul’s and, five years later, to Pembroke College, Cambridge. George had won scholarships at every level of his education, but even so William Bean’s precious botanical library had to be sold to pay for his son’s way through Cambridge. No such sacrifice was made for George’s talented sister, who had to forge her own way through the school system. George got a first in Part I of his finals, but failed to equal that in Part II. At the time, nothing less than a double first would have opened the doors of a university career for a man without private means. After graduating in 1923, George returned to St Paul’s, to assist in the teaching of scholarship Greek. George Bean was a gentle giant, a somewhat unworldly figure whose towering 6ft 6in frame only seemed to come alive on the golf course and tennis court. For many years he competed at Wimbledon (once reaching the third round) and he played badminton for the Surrey County team. Elsewhere his agility was less noticeable: his pupils could find themselves knocked over if they failed to look out for the “grave and enormous strides of a frame shaped like an outsize robot, begowned and apparently carrying a toy brown attaché case”. Meander Sorry, this item is currently unavailable from Cornucopia.